Using subsurface drip irrigation and precision technologies, a growing number of California dairy farmers are reducing water use by 47 to 67%. More than 20 dairy farmers across California have been pioneering the use of subsurface drip irrigation to grow feed crops, including corn, wheat, and alfalfa. By working with innovative companies and non-governmental organizations, dairy farmers have helped take sustainable farming to the next level. 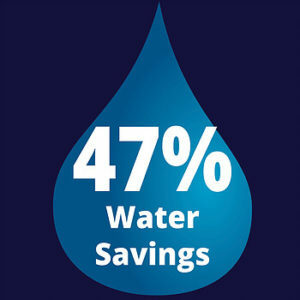 They are reducing water use by 47 to 67% and improving groundwater protection. Their collective efforts have helped develop new tools for California dairy farmers to continue advancing nutrient and water management. California dairy farmers had already made great strides to increase their overall water-use-efficiency and on-farm water recycling, but in 2014 and 2015, two ground-breaking efforts began. One is led by Sustainable Conservation, and the other is known as The Alfalfa Project (TAP). Both projects are aimed at advancing further into the new frontier of subsurface drip irrigation. Today, with fast-approaching groundwater management regulations and the threat of significant decreases in both surface and groundwater availability, water conservation has never been more important, and these innovators are paving a sustainable path to follow. Farmers, environmental organizations, and innovative companies have been working side-by-side to proactively address the challenges that come with subsurface drip irrigation, including line clogs and rodent damage. As an added feat, Sustainable Conservation and irrigation technology company Netafim have developed a model for applying a mixture of water and dairy manure-water via subsurface drip irrigation. Four years later, the technology and management strategy have been refined and pilot-tested several times. Demonstration systems are now operating on three Central Valley dairy farms. The projects are funded by a $1.7 million United States Department of Agriculture, Natural Resource Conservation Service (NCRS) research grant. For silage corn, results have shown increased water-use efficiency (up to 67.7%), increased nitrogen-use efficiency (up to 161.9%), and increased crop yields (up to 21.1%). Results from the most-recent winter wheat crop have shown even greater success, but these numbers can vary greatly depending on annual rainfall. The Alfalfa Project (TAP) started with seven farmers in 2015 and now has more than 20 farmers participating. By this fall, nearly 4,000 acres of alfalfa will be grown with subsurface drip irrigation. Achieving up to 47% water savings, TAP has saved more than 3.1 billion gallons of water over the last three years—enough to supply the annual water needs of 100,000 Californians. It is anticipated that an additional 1 billion gallons of water will be saved by the end of the 2018 growing season. While TAP does not currently include manure application, the program has also been testing a filter that would allow manure-water to be added to the drip lines. TAP continues to work toward an ambitious goal, converting 350,000 acres of alfalfa grown in the San Joaquin Valley from traditional flood or sprinkler irrigation to subsurface drip irrigation, paired with precision farming practices. Full project implementation would reduce water usage by more than 400 billion gallons of water annually. That’s enough water to supply the annual needs of more than 12 million Californians. “With our farmers facing multiple pressures to reduce their water usage significantly, The Alfalfa Project offers a unique path forward to help them not just manage their water use, but actually improve their yields and strengthen the health of their business,” said Tyler Bennett, founder of TAP. As demonstrated by Sustainable Conservation and TAP, subsurface drip irrigation shows great potential to reduce water use, improve yields, and boost economic and environmental sustainability. A key to this success is the element of precision. Subsurface drip irrigation delivers water directly to the plant’s roots. The use of additional precision technology helps ensure best results. This includes continual monitoring and reporting of soil moisture and crop growth, as well as strategic irrigation scheduling. 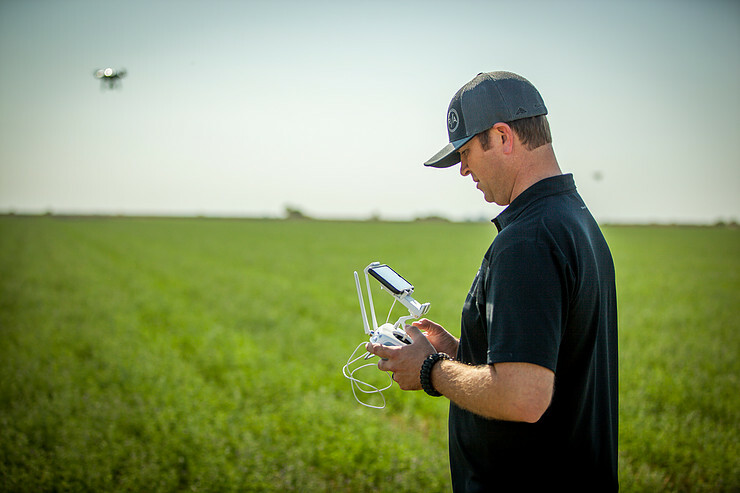 Drones are used to monitor irrigation uniformity and crop growth, helping farmers achieve optimum water savings and crop yields. Both Sustainable Conservation and TAP are working to make these technologies practical for dairy farmers, despite current economic challenges and rising energy costs. Sustainable Conservation aims to continue working with NCRS to ultimately establish incentive funding to allow more dairies to implement manure-drip projects. TAP provides capital financing options for implementing drip irrigation and precision management technologies. There is a tremendous opportunity for public and private partners to help California dairy farmers invest in these significantly beneficial technologies. Through expanded adoption of subsurface drip irrigation, dairy families can advance water conservation and protection, while improving their economic sustainability and cost-effectively meeting regulatory requirements—further improving the environment we share and safe-guarding the long-term viability of family farms. California’s dairy farmers are leading the way for water-smart farming. Learn more about these efforts at the inaugural California Dairy Sustainability Summit, this November 47- 28, 2018 in Sacramento. Dairy Cares is a statewide coalition supporting economic and environmental sustainability and responsible animal care. Our members include Bar 20 Dairy Farms, California Cattlemen’s Association, California Dairies Inc., California Dairy Campaign, California Farm Bureau Federation, Dairy Farmers of America-Western Area Council, Dairy Institute of California, F & R Ag Services, GHG, Inc., Hilmar Cheese Co., Joseph Gallo Farms, Land O’Lakes, Merck Animal Health, Milk Producers Council, Ruan Transport Corp., Western United Dairymen, Yosemite Farm Credit, and Zenith Insurance Company. For information, visit DairyCares.com or call 916-441-3318.